The Scuola Normale Superiore supports the March for Science that will take place on April 22 in hundreds of cities around the world. Called by a broad network of civil society organizations and scientific institutions.  the march aims at raising awareness about the importance of a robustly funded and publicly communicated science, considered as a pillar of human freedom and prosperity. Presenting itself as a first step in the development of a global movement in defense of the vital role that science plays for governments and societies. the march advocates a conception of science as upholding the common good and enacting evidence based policies in the public interest. The Scuola Normale Superiore fully shares these aims which resonate with our commitment to the development of a critical knowledge through scientific research.